Enjoy St. Patrick's Day cocktails with Tequila Herradura! Celebrate the luck of the Irish this St. Patrick’s Day with these green colored cocktails using Tequila Herradura. 1. Shake tequila, melon liqueur and lime juice with ice for 15 seconds. 2. 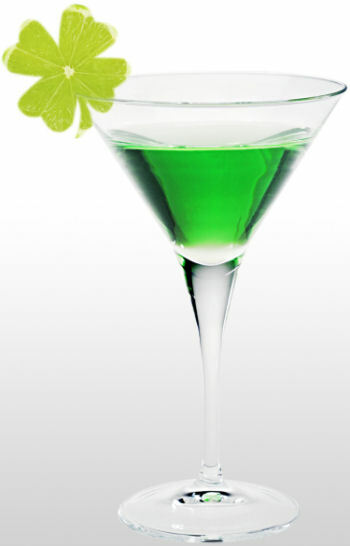 Strain into a chilled martini glass and garnish with a Shamrock carved lime. 1. Place basil and cucumber into the base of a tall glass and muddle to extract flavors. 2. Fill ¾ of the glass with crushed ice. 3. Add remaining ingredients and combine using a bar spoon. 4. Cap with more crushed ice and garnish with a basil leaf.